The words "thank you" are among the first taught to young children. As a parent, you might practice with your child by handing over a toy, then prompting him or her with "what do you say?" For those of us who aren't directly involved in the teaching, it is a thrill to give a young child something with no expectation of reply and hear a little voice say, "thank you." If you're not too overcome with the sweetness of such a moment, you immediately pay a compliment to the parent. The necessity and correlating habit of saying "thank you" is taught to us. Like most traditions, a true fondness for the act comes from learning it at a young age. When parents teach gratitude, and the art of expressing it, they continue a tradition of giving and receiving in its most sacred form. When Should You Teach Gratitude? It's never too early to begin teaching your children how to show appreciation. If they can say the words "thank you", they are already learning how and when to express it. In most gift-giving situations, a child’s glee over a gift doesn’t necessarily link up with gratitude to the giver of that gift. So it is an unnatural act in some sense to have to be guided to write thank-you notes. But writing the thank-you notes was and is the right thing to do. Yes, we have to learn the right thing to do. Judith Martin (aka Miss Manners) writes, “The very habit of doing the right thing, as unnatural as it may be, suggests to people the idea of improving upon their original and natural impulses.” Miss Manners goes on to explain that had she never been required to express thanks, she might have gone through life without ever having pondered the relationship between gifts and gratitude. When we were children, my mother always insisted that my sister and I write thank-you notes. But I confess that, as a parent and well before my love for all things etiquette set in, I was not methodical in asking my children to write thank-you notes. I don't recall exactly what I did, but I hope I did better than worse along those lines. It wasn’t until many years later that I realized, from the irritation of someone not thanking me for something, just how vital it is that everyone be taught to write these notes. When your children are babies or toddlers, it is appropriate that thank-you notes come from you, the parent. As the child gets older and can hold a marker or pen, you may still write the note, but let your child add his or her own version (scribble?). 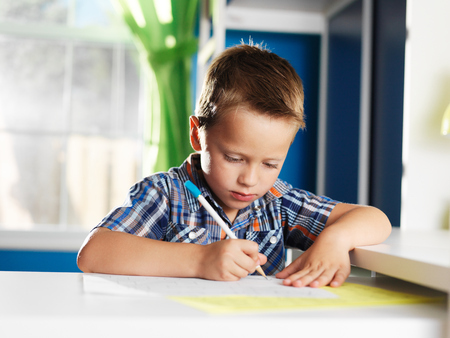 This evolves into your child writing his or her own notes, with your guidance. Perhaps the note is dictated to you, then your child signs it. But eventually, the entire process is completed by your child. Recently, one of my readers wrote to share her experience. She said she hadn’t required her children to write thank-you notes because she felt that it had become a “should” at some point in her life and she resisted “shoulding.” So, she confessed, her teenage children are not in the habit of writing thank-you notes. She feels that she missed her teaching time zone, but wanted to know what I thought. As an etiquette educator, and not a parenting expert, I responded that it is absolutely appropriate to teach older children at home to write thank-you notes. I don’t see what harm it would do to sit down as a family with a bunch of plain cards and catch up on saying thank you. Mentioning something specific about the gift. Mentioning something unrelated to the gift, but related to the giver. You can find more about how to write a thank-you note here. It's never too late to make gratitude a regular practice. Discuss why you want to express thanks, and how good it feels when it is expressed to you. Everyone is busy these days. And families with children are the most busy! All the more reason to make a priority of acknowledging gifts. Place a time slot on your calendar just as you would the piano lesson, the soccer practice, or the family pizza night. You might even make it part of homework time, as writing thank-you notes is a terrific learning opportunity. Think of when gifts are normally received - holidays and birthdays - and know that you'll need to schedule immediately after for gratitude time. Watch how one mom enforces this in her video. A good friend discovered a pet peeve recently when she received what she called a "pre-fab" thank-you note. It was similar to the party invitations that allow you to fill in the blank with a date, time, etc. Except in this case, the card allowed for the name of the gift recipient, what the gift was, the occasion, and then included a pre-printed thank-you expression. While this may have been convenient for the parent, it did not convey a sincere expression of thanks. If a traditional thank-you note isn't your or your family's style, there is no reason not to get creative. I know a couple with two beautiful daughters who have created their own personalized thank-you notes since they were wee tots. I have received maps to treasures, raised figures of people and animals, and even a decorated box as thank-yous. I always feel their gratitude in those hand-crafted notes. And I love that these parents are fostering authenticity and sincerity. Another family creates thank-you video experiences by having their auntie hold the camera and film them reading their cards and then thanking and sharing how they feel about the gift or what they plan to do with their gift. The video always ends with a big “I love you!” These are such treasures to me. What a good feeling it is for them to realize they’ve created something that will make someone else know they are appreciated. Just as when a gift is given, an expression of gratitude is as meaningful for the giver as it is for the receiver. When you teach gratitude to your children, you not only equip them with a life-long skill, you are teaching them to appreciate human interaction and to be good receivers. To quote Maura Graber, owner of the R.S.V.P. Institute of Etiquette, “Every once in a while, I come across an article or blog post referencing new manners or the 'new etiquette' for modern living. 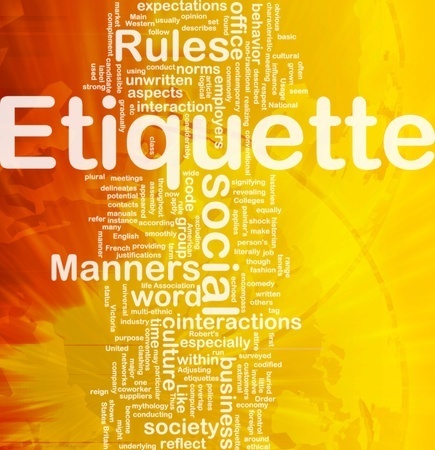 In reality, the manners and etiquette needed aren’t new at all, but how we spend our daily lives is changing at such a rapid pace, the 'old etiquette' just needs a bit of tweaking to adapt. In some cases, the 'old' etiquette still fits just fine." To paraphrase, I would say the "old etiquette" of showing gratitude and sending thank-you notes still fits just fine. Of course, any expression of gratitude is a good thing. But when you receive a note of thanks in the mail, it cements the level of appreciation for the gift or act of kindness you gave to someone. And, let's be honest, it feels really good to have this confirmation. Who could you thank today?